Reinsman's Tacky Too Navajo Contour Square Saddle Pad is designed to better fit your horse. These pads are made with a soft colorfast navajo top that will not fade, core is made of absorbent 1" felt breathable cushions with Tacky Too® non-slip bottom that is anti-bacterial, ventilated, pressure distributing, shock absorbing, and deceptively tough and durable. It does not pull or collect the horse's hair nor does it trap heat or sweat. Reduce sore backs and saddle roll! Low maintenance, easy to clean and quick drying. Genuine wear leathers are coordinated to compliment the color. Navajo patterns on these pads my vary slightly in design. The color is even better than the picture! Love this kind of pad stays in place plus my horse stays cooler with its unique pad design! Finally ! A pad that fits , is solid and stops slippage . It was recommended to me and so happy I got it . The online ad photo is exactly like the pad I received. It does keep my saddle from slipping, but I have to snug the girth more than I thought I would. Unfortunately for my horse, this pad does make him very hot and sweaty. He has to have something of this sort because he is such a barrel shaped horse. It is a good pad and seems to be solidly made. I purchased a new saddle since my horse has gotten a bit bulker and also wanted a shorter saddle pad. Reinsman tacky too is always my go to pads. Always satisfied with the fit, durability and of course the lack of slippage on my round barreled quarter horse. StateLine Tack always has good prices, quick delivery and great packaging. This is my third Western Saddle pad (same model) different colors. I use these in the Dominican Republic where is summer all year round and it's great, cool, dry & comfortable and so EASY to clean. Just had a big accident after this pad got wet from my sweaty horse and slipped badly. I hate this pad and wish I could return it now. LOVE it !! My mare has mutton withers and no matter how tight the girth, the saddle always slips. NO MORE !! this beautiful pad put an end to that !! The pad fit my Tenn,walker perfectly I ordered the 30 x 30 pad because he is short backed. 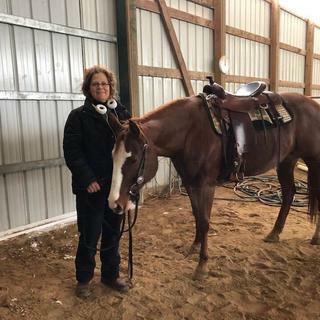 I was very impressed with the construction of the pad it has enough padding without it being bulky and hot for the horse the tacky too works very well cool enough so he is not wet and clammy after a ride .The pattern and colors were as shown on line and the price was very reasonable. I'd read that Tacky Too can be overly warm in humid climates but we live in the PNW and it's rarely that warm and humid. Plus our trainer from Tennessee (a warm and humid location) highly recommended the Reinsman Tacky Too. We have gaited horses and the contour and shorter length - 30" - fit them both well and allows them free movement.. The pad has a nice thickness and it definitely keeps the saddle from slipping. My dad bought this at the tack store, so I'm giving the price here one star.It's a good looking pad, the purple/tan looks good on our bay lease horse, it doesn't slip around, but it's hot, and a little to thin.We live in a very humid climate, & this pad will make the horse sweat more than his old wool pad did. I wouldn't suggest this pad if you live in a hot climate. I chose Reinsman Tacky Too pad because I have bought them in the past and they are awesome pads. They hold up well and do no slip on my round, low withered quarter horse or my high withered more slender Arabian. My horses and I love them and think they are the best after trying several different pads. Have had good luck with the Tacky Too and I liked the design options. This pad is 30 x30 and fits perfectly. I ordered Tan/black in the past and love it. Now for winter I need another be cleaning is a little longer now. So I want to see how Black/tan looks on my paint. Couldn't beat the price even with shipping it was still less. Never used a better pad for trail riding on horses with low withers. It keeps the saddle from slipping on hills and you don't have to use a breast collar. They clean real easy too and last a long time. Dynamite product and they look great and are comfortable for the horse. It's the only brand we trail ride with. The size and weight is perfect for my Mustang. all of the local suppliers pads were too large and too thick. HOW DO I know what size it is? BEST ANSWER: The size is usually found in the information write-up on the product itself. The Navajo Square pad is 30" x 30". BEST ANSWER: It's about 1" thick and very light weight. I actually have two of them they're very light weight and they clean up nicely. I hose them off from the underside with a little liquid detergent and let them dry on my wash rack in the sun. No fading at all and the contour fits both my horses great. I'm planning on getting another one and would highly recommend it. You can get the exact specs by googling it. nice and thick. sits well on horse. No pinching. grips well. My husband loves this pad because it is comfortable for the horse and he feels more secure on her back. It keeps the saddle pad from slipping. Used to be a problem with a horse that can switch gears suddenly....Arabian. Love this pad. Have 2 of them now. The pad is probably about an inch to inch and a half thick. I really like it! My problem was my saddle is almost too long for it so I have to watch how I set my saddle on the pad. My saddle is homemade though and probably longer than most!